We're have reduced our Christmas Gift Box to just £25 (saving £35%) and increased commission on Christmas Gift Box sales from 5% to 10%, which is £2.50 per sale! But be quick, it's only available until the 19th December! 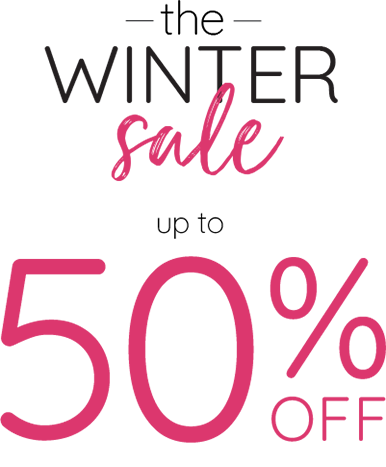 We'll even increase your commission to 12% (£3 per sale) if you get in touch (sally@ffs.co.uk) and explain your increased exposure opportunities. Our beautiful Christmas Gift Box, which gives the gift that every girl dreams of this Christmas...smooth legs! Our Christmas Gift Box is now only £25 plus a FREE pair of rose gold tweezers with every purchase (RRP £38) and a one-off purchase (without subscription). It’s the perfect starter pack to FFS for someone special or just a gift from you to you - it really is the gift that keeps on giving! Plus our Gift Box is now at an increased commission for all publishers of 10% (usually 5%) we would also be happy to discuss increased commission deals for increased exposure opportunities. All Christmas images (including the below) are live in MyCreative area. Our Christmas gift box includes our award-winning metal women's razor - available in Rose or Silvia with personalised engraving, Pre-Shave Scrub, Shave Cream, Post-Shave Balm, four diamond-coated blades, a handy shower hook, travel pouch and a blade cover. 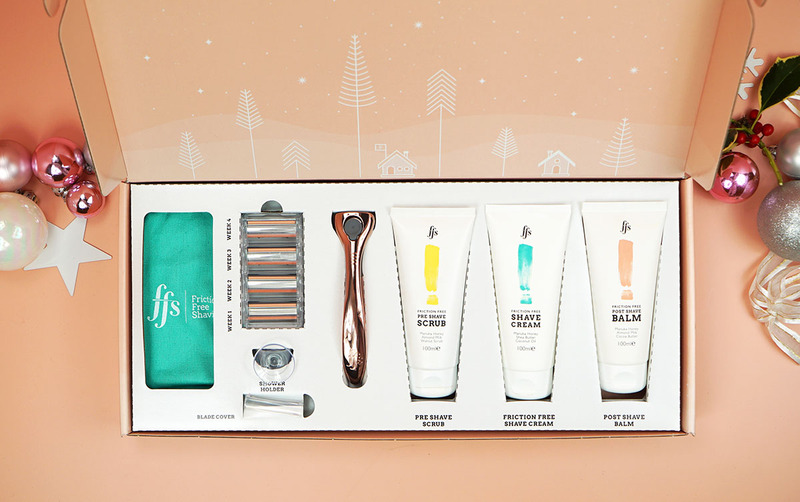 Plus, we've even designed the gift box so you don’t even have to wrap it. Just write your name on the gift tag and place it straight under the Christmas Tree. Done. Extra 15% off Winter Sale! Grab an additional 15% off the winter sale, hurry limtied time only! Up to 50% off in Winter Sale! Winter order builder back for one day only! The winter order builder is back! Grab up to £100 off your order at La Redoute, for one day only! Save 50% on your order with La Redoute's Christmas order builder. Includes all fashion, home, brands & even sale products! £30 off when you spend £60 or over! £50 off when you spend £100 or over! £100 off when you spend £200 or over! Find the perfect Christmas gift with La Redoute! for every christmas wish list! Apologies for the last minute changes in plans but La Redoute's winter order builder will now run until Monday. Save up to £100 off your order! La Redoute's amazing winter order builder is back! Hurry for a limited time only! Winter order builder, ends tonight! Up to £100 off your order offer ends TONIGHT! 50% off your Christmas shopping! Get 50% off your Christmas shopping in La Redoute's amazing order builder offer! Save up to £100 on your order at La redoute! 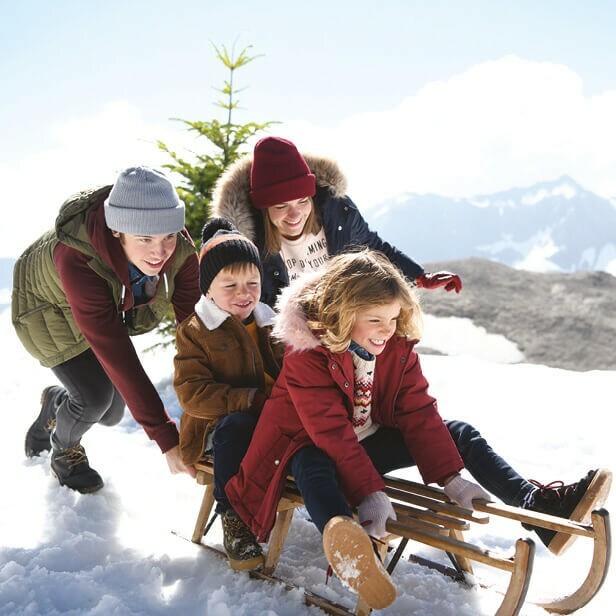 Find the perfect Christmas gifts with La Redoute! Save up to £100 off your Christmas shopping! Save up to £100 on your Christmas shopping with La redoute's order builder! Get up to £100 off your order with La Redoute's order builder!